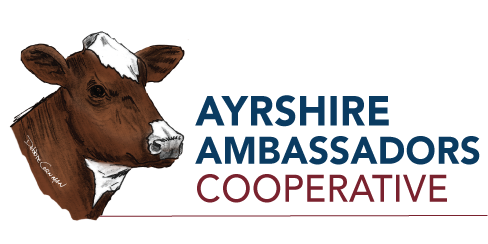 The Ayrshire Ambassadors Cooperative funds operational costs through membership fees. However, it also accepts and encourages contributions from individuals, organizations, and businesses that share a passion for the breed. Your gift will support marketing and promotion of the Ayrshire Breed and other efforts as we fulfill our mission to grow the Ayrshire breed. Support from the Ayrshire community is critical to our mission.